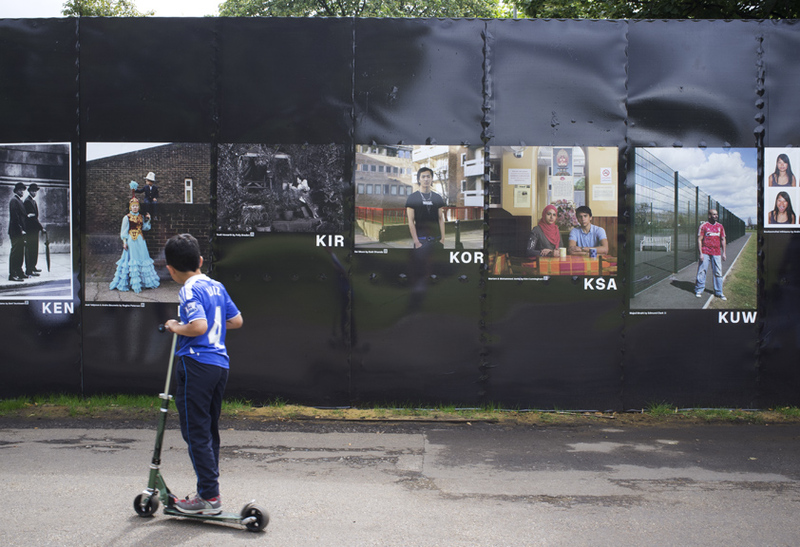 I was one of many photographers invited by the Photographers’ Gallery to take part in this project which began 3 years ago, photographing a Londoner who originated from one of the 204 nations represented in the 2012 Olympic Games. My portrait was of a young guy from South Korea called Sei Moon. A snap shot of the installation in Victoria Park.